I’m off to a slow start for 2013. 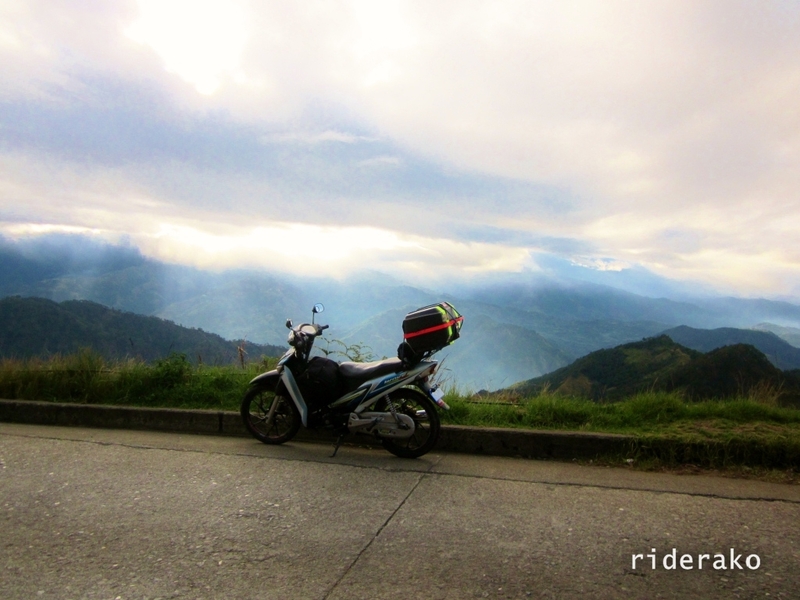 Apart from a wet, quickie ride on January 1st to Tagaytay, I haven’t wandered off far the past two weeks. 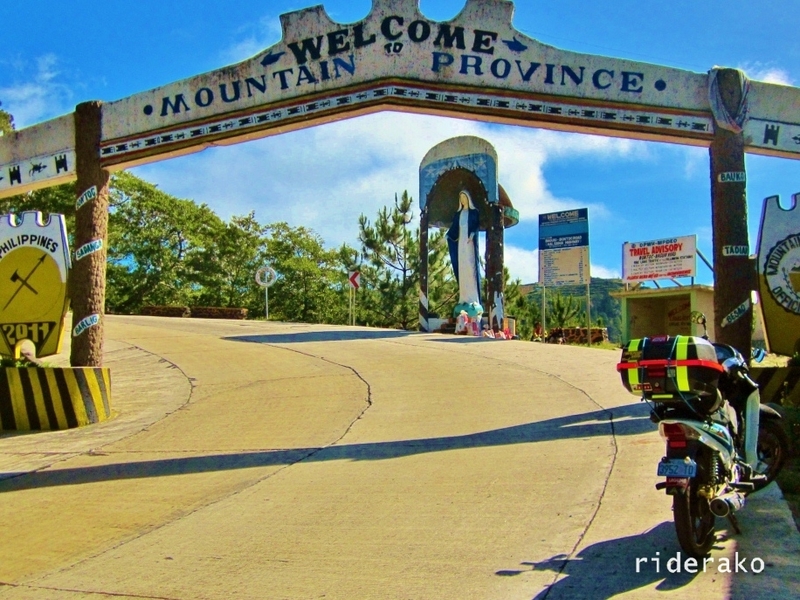 This is mainly because Dhona is still exhausted from our Bicol ride and is undergoing a series of repairs and modifications to make her fit for longer rides once more. So…. 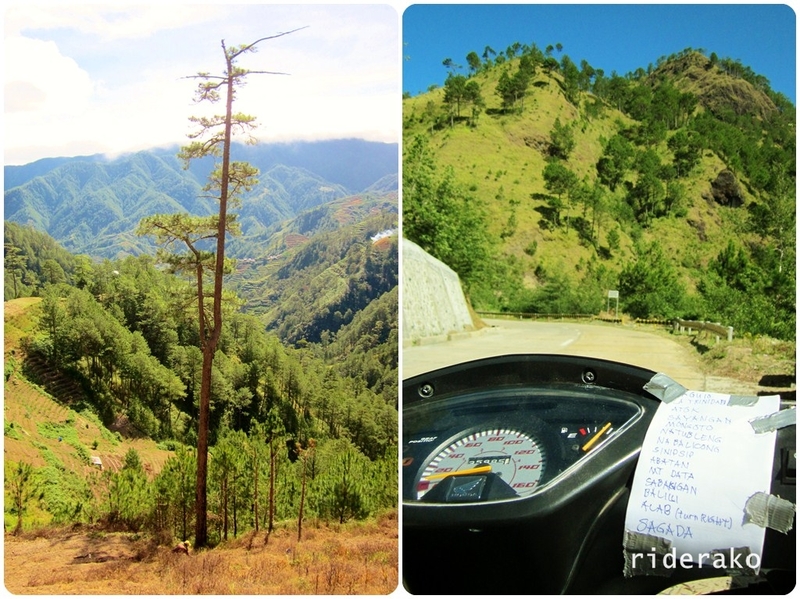 meanwhile, join me as we look back on a 22-hour adventure ride I did March last year…. I joined a motorcycle event that concluded in Bagiuo City. My clubmates from Laguna Moto Club took off for Laguna the night after the awarding ceremony but I chose to stay behind. The following morning, I set off for Mountain Province. It’s time to get high! 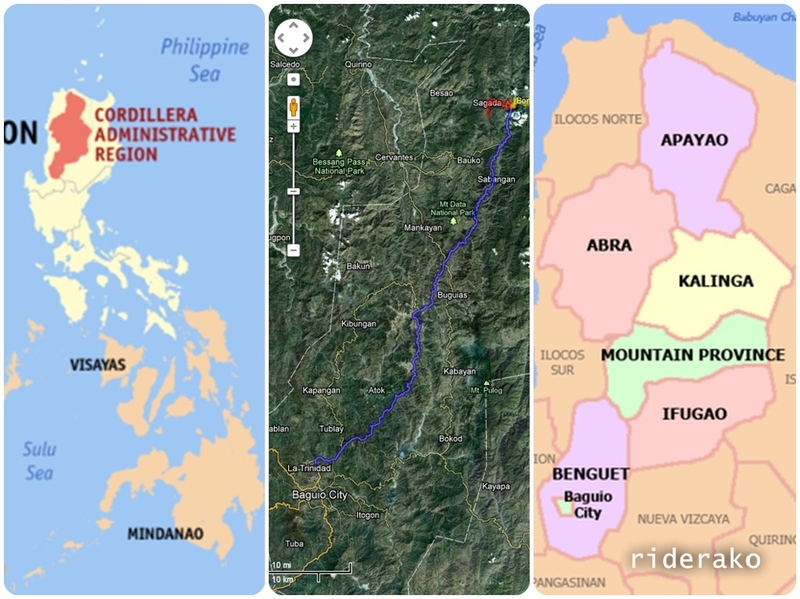 The Cordillera Administrative Region is made up of the provinces of Abra, Apayao, Benguet, Ifugao, Kalinga, Mountain Province and Baguio City. First things first. I need to find my way out of Baguio City. 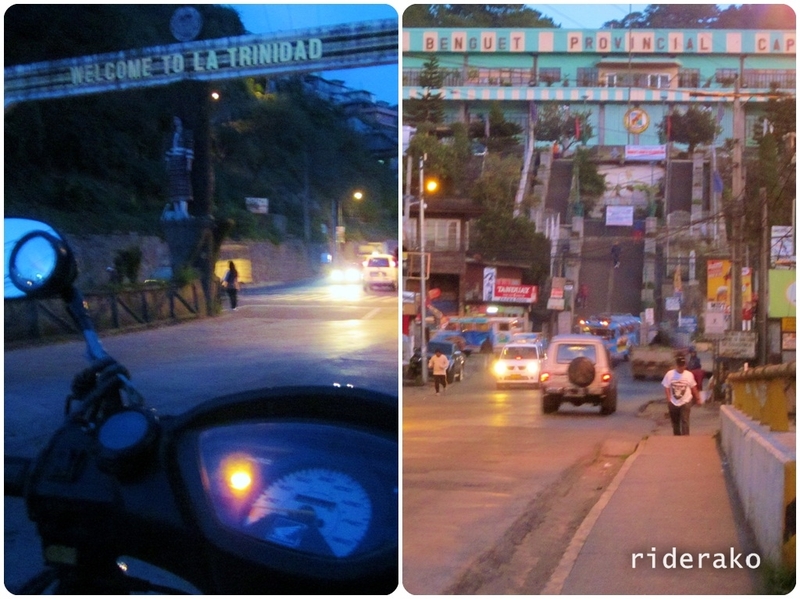 After wandering off in the opposite direction, I finally found may way to the familiar roads of La Trinidad. 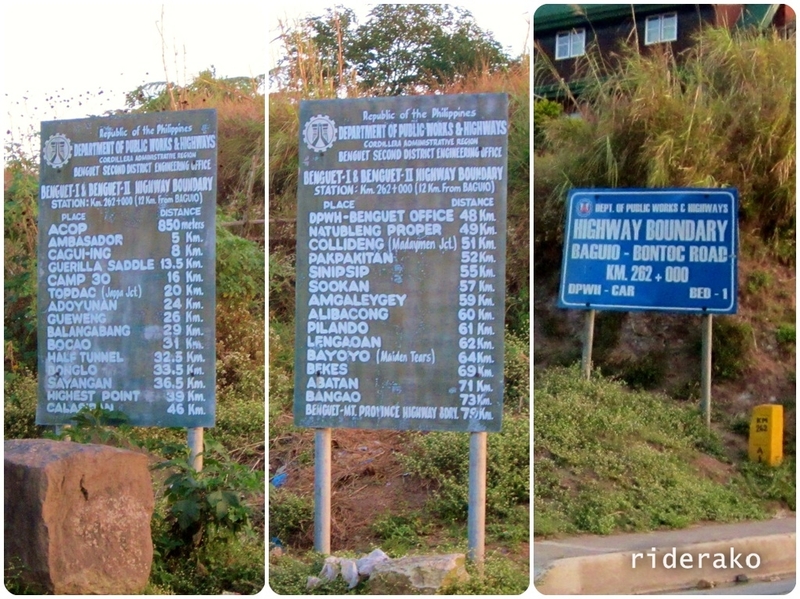 Upon reaching Benguet Provincial Capitol, I made a right to Halsema Highway. I left Baguio before 6AM. It was freezing cold! 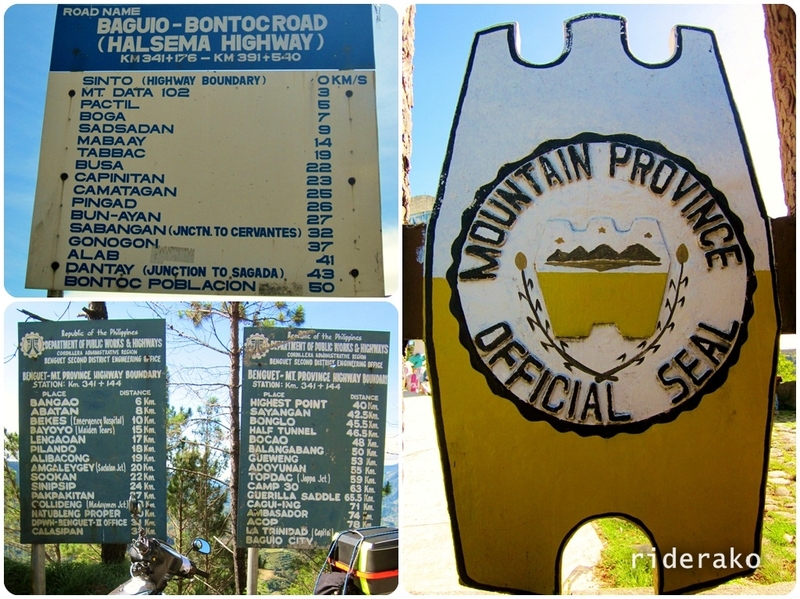 A guide for the first 79 kilometers on Halsema. Thank you good sir, thank you! It is also named as one of the world’s dangerous roads. Well, that was probably when it was more of a dirt road than a highway. 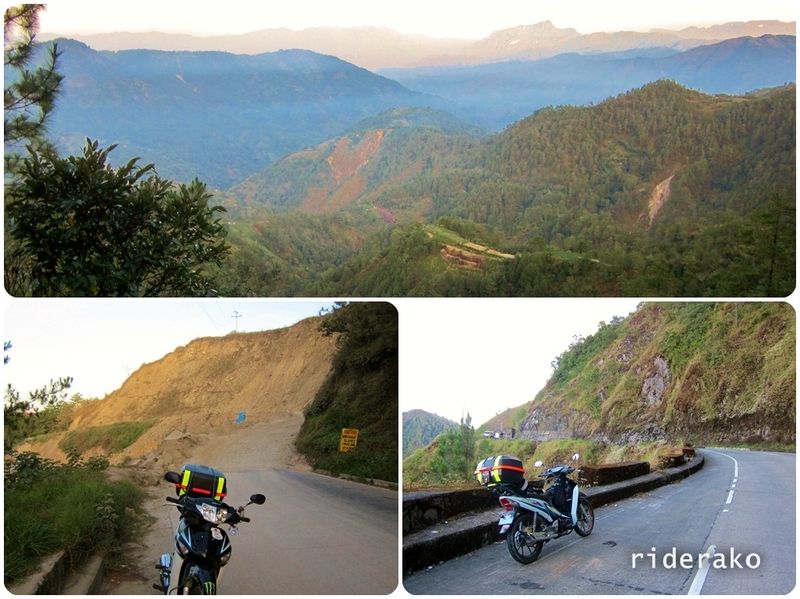 The terrain is mountainous but the road is surprisingly in good condition with most parts cemented. Of course, there’s the occasional landslide like the one that greeted me just a few kilometers into the trip. Landslides are common especially during rainy season. Nevertheless, it was a beautiful day to ride! 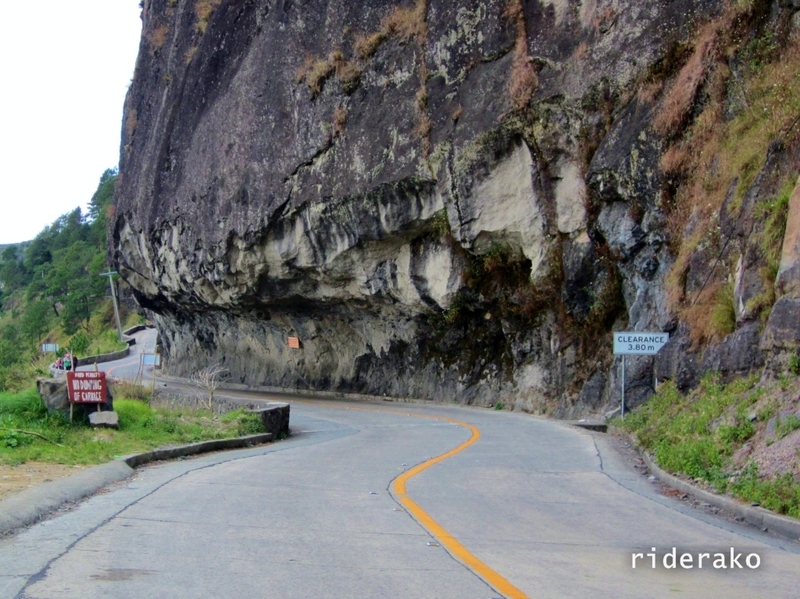 Carved a road out of a rock solid mountain… AWESOME! It’s already 7AM but it is still freezing cold and my hands are already numb. Whenever I stop, I would actually hold the engine for a few seconds several times just to feel warm again. The surgical gloves I usually carry around is missing. That would’ve helped a lot. 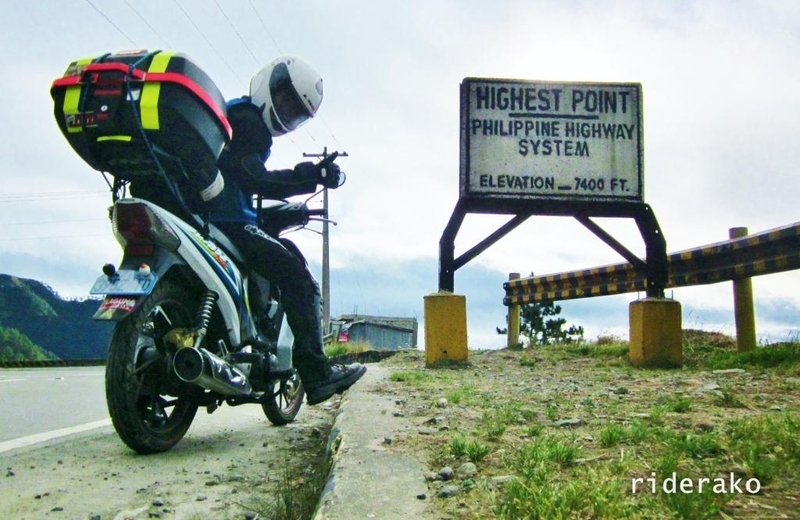 0730H I reached the Philippines Pali or the Highest Point in the Phil Highway System. 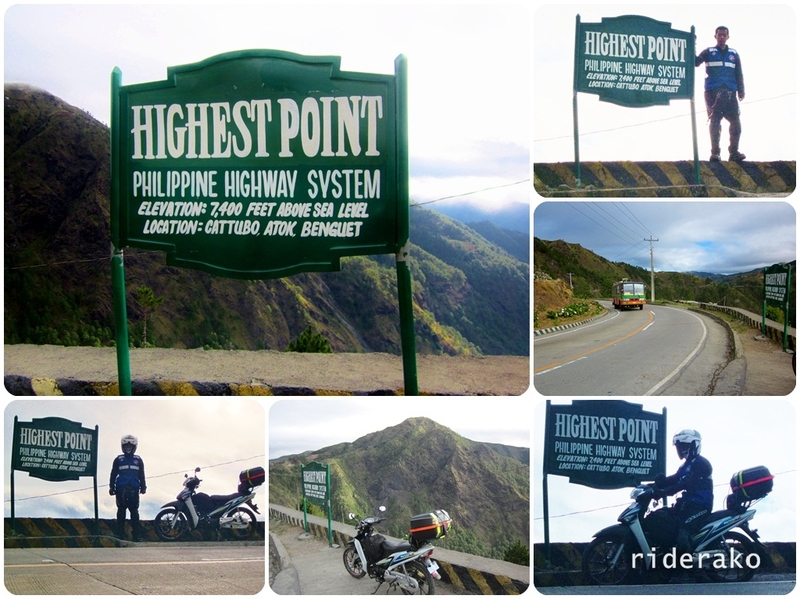 Seven thousand four hundred feet above sea level! You might also want to take note of the police’s contact number. A gas station is 30 kms away. Motorcycling is addicting. I’m so HIGH!! Some numbers to guide you. A lonely tree in the mountains and my improvised GPS. 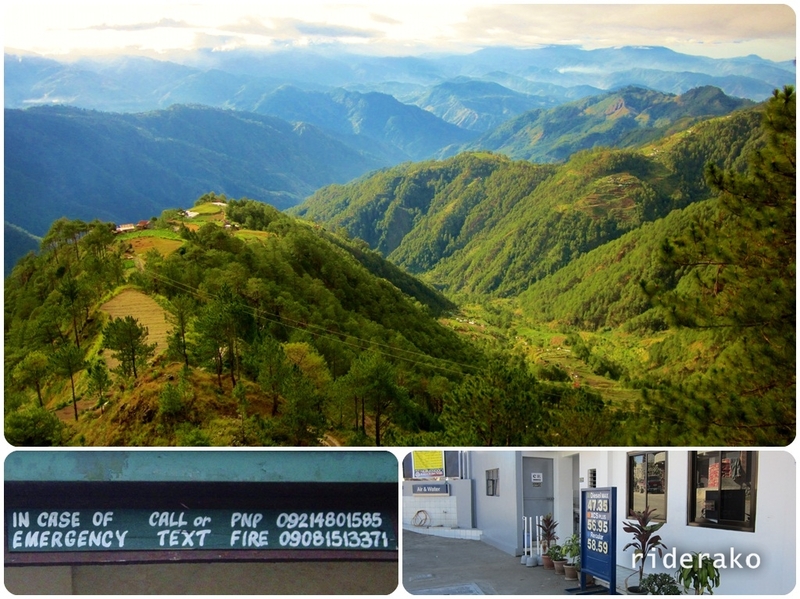 the Cordillera is the largest mountain range in the Philippines. It is the only land-rock region. Now, move stupid.. sign says ‘Falling Rocks’! Falling rocks earlier, now falling water.. errr, a waterfall I mean. 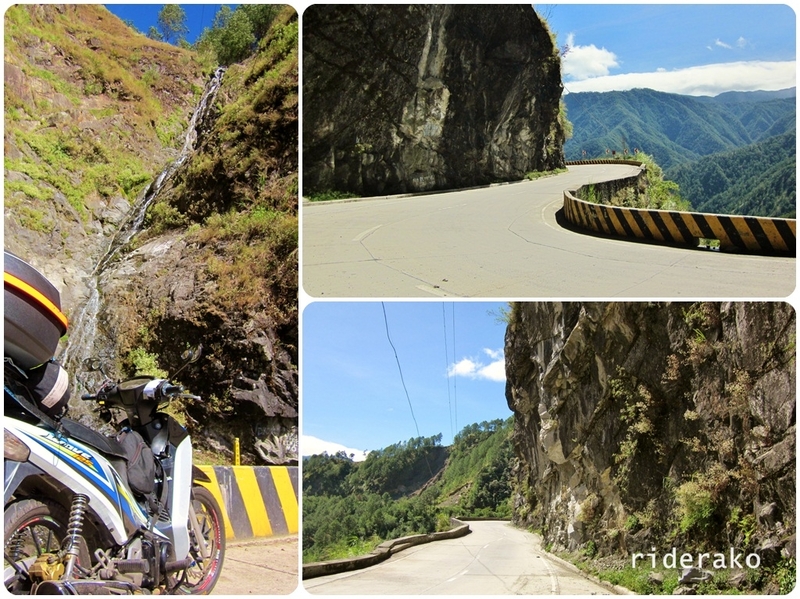 As I neared the Bontoc, something happened that will make my adventure in Halsema Highway very memorable. I came across a bird flying too low that it hit me squarely on the chest and it fell on my lap. I can feel it flapping its wings vigorously. I panicked and swerved dangerously on the road as I struggled to maintain control. I managed to stop safely on the side of the road. I then realized that the bird, as big as a dove, died on impact. The wings were “flapping” on its own because of the wind against it. I picked it up and laid it on a rock on the side of the road. I prayed the spirits forgive me as I hurriedly left because the other birds flying overhead were freaking me out. 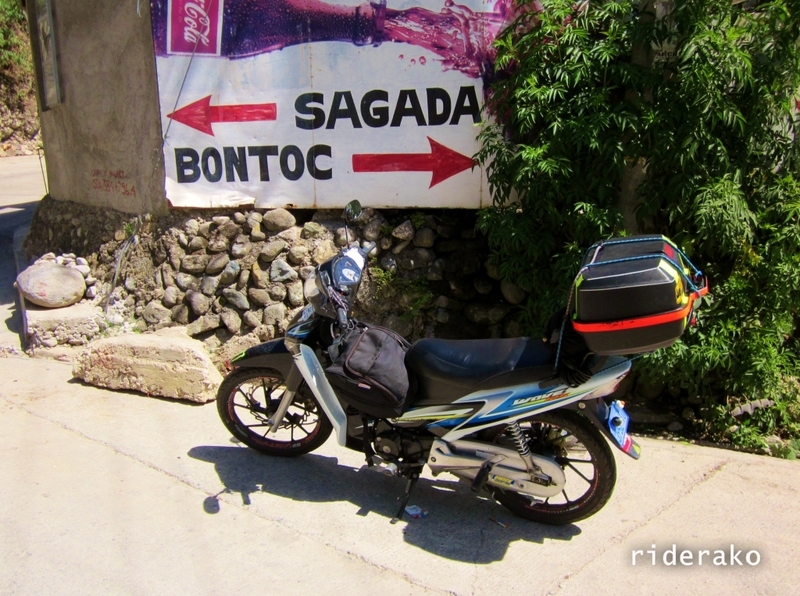 1044H Finally, I reached Sabangan, the gateway to SAGADA. Left or right?? BOTH!! Kapit Dhona, isaSAGADa ko na!!! 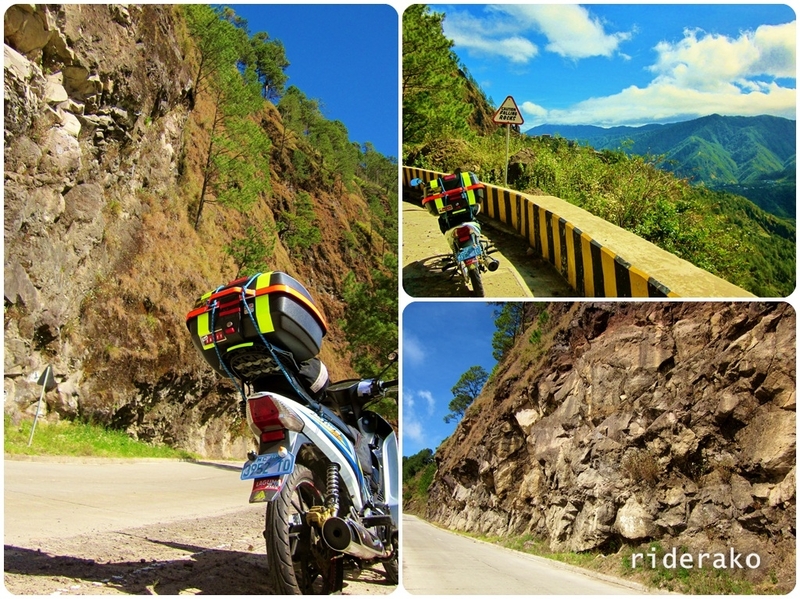 “Igorot on Board” is a three-part series of my 22-hour Inner Loop adventure ride in the Cordilleras on March 2012. 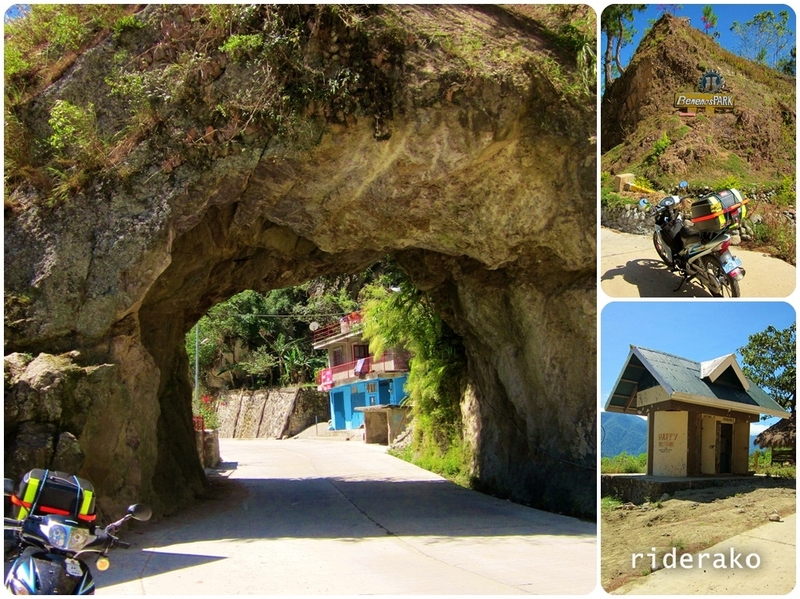 This entry was posted in Long Ride, Rides, Solo Ride and tagged Atok, Baguio-Bontoc road, Benguet, Cordillera Administrative Region, Half-tunnel, Halsema Highway, Highest Point, Inner Loop, motorcycle, Mountain Province, Mountain Trail, Natumpukan, Philippine Pali, philippines, Philippines Highway System, Sagada, solo ride. Bookmark the permalink. Congratulations Doms! 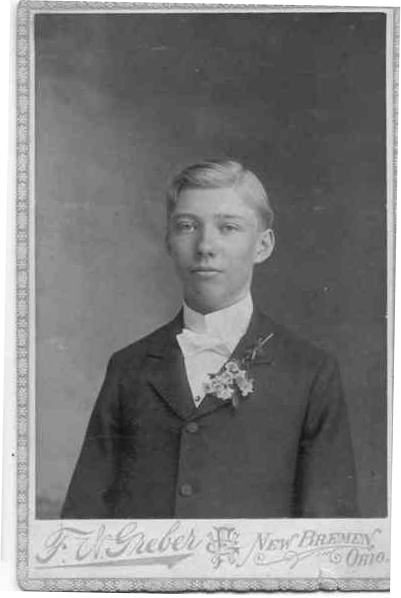 My name is Gary and I am planning to make the same trip although on a bike I am restoring. I’m glad you managed to maintain control despite the bird hitting you! Freak accidents like that are impossible to prepare for. 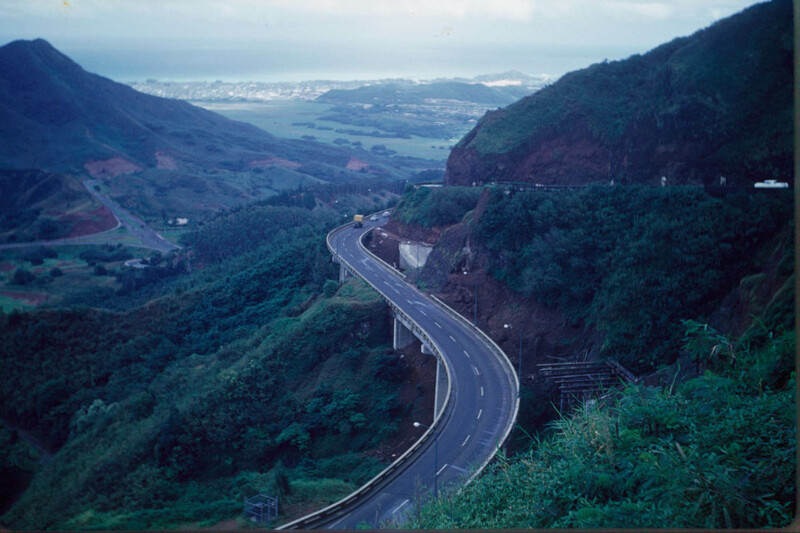 I was wondering – how long is the ride from the tollgate to Pali? What is your average speed? I am full of other questions, I’ll ask them if you reply. Thanks! Thank you, Gary! Toll gate to Pali can be done in an hour with minimal stops to appreciate the view. I’m more than happy to answer your questions..